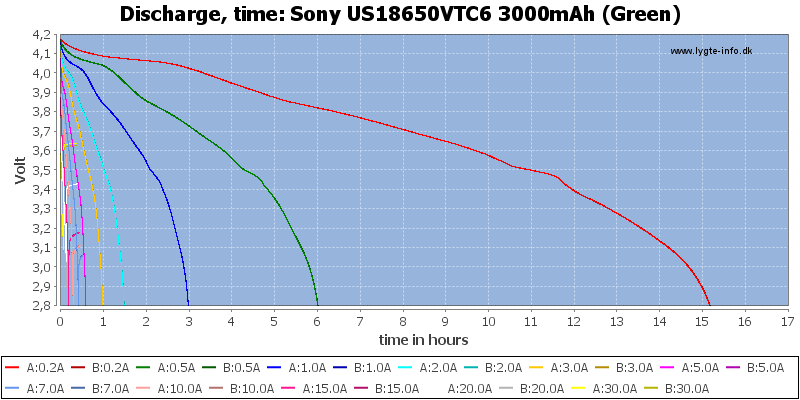 The latest and probably last high current battery from Sony and it was a very high capacity together with the high current. 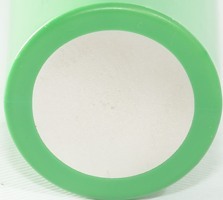 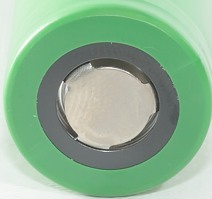 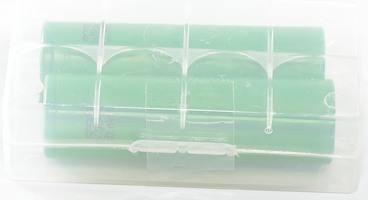 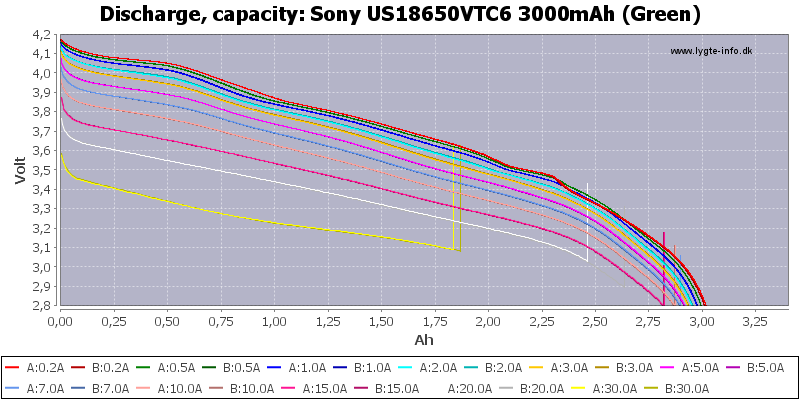 There is no doubt this is a quality battery, the curves track perfectly and capacity is nearly constant with current. 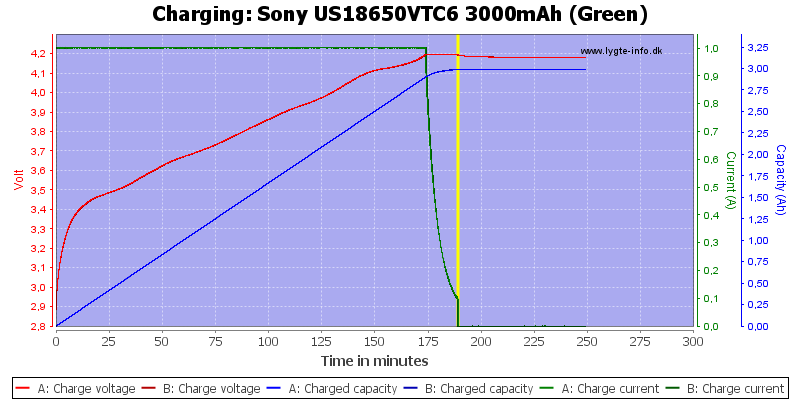 At high current the battery gets hot and I stopped the 20A and 30A test due to that. 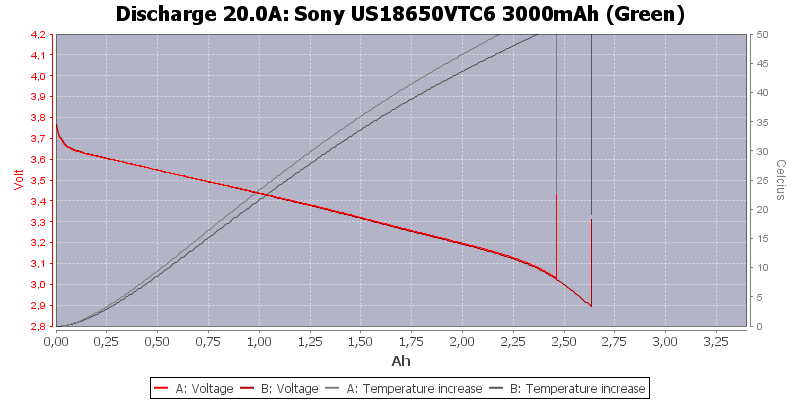 But at 20A and 30A I hit 80°C or rather went above. 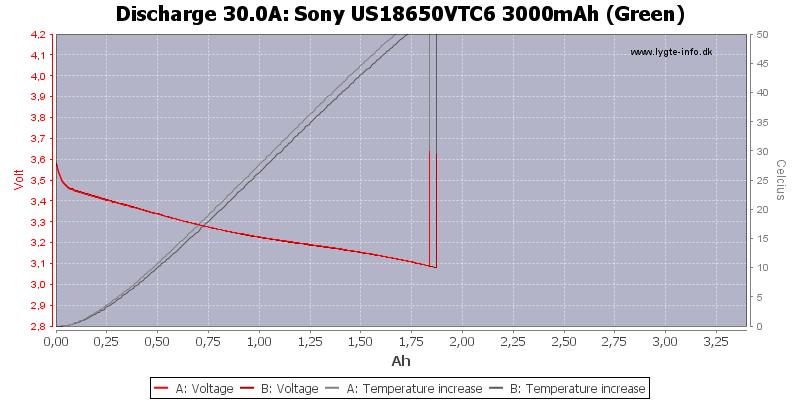 Here I was up to 91°C. 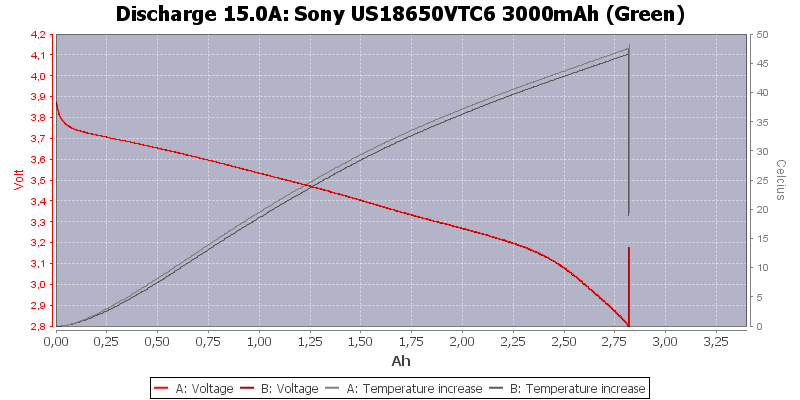 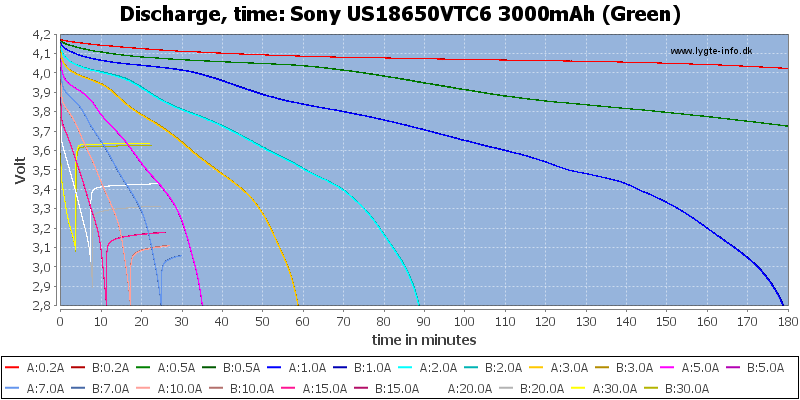 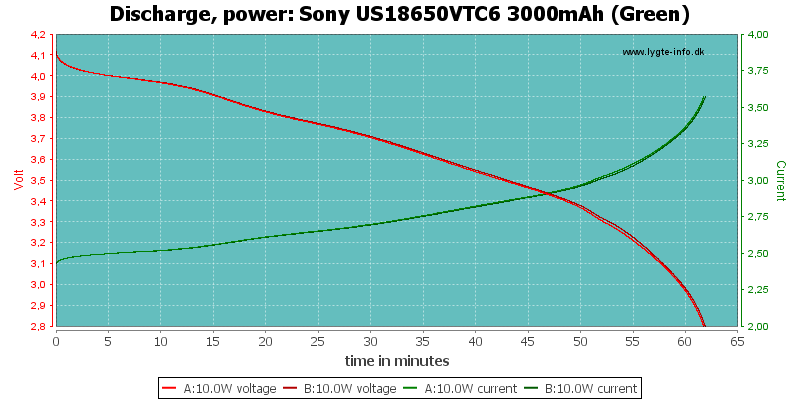 Very few batteries can handle high current as well as Sony VTC batteries and this cell also high capacity. 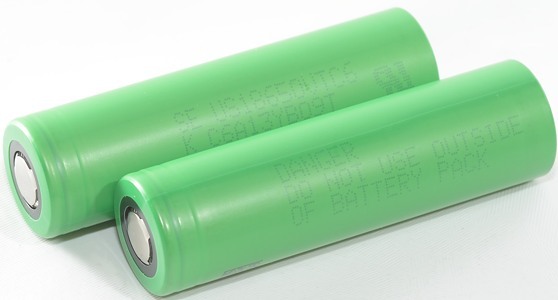 But this cell is not "draw all the current you want and stay safe" (That type of battery do not exist), to stay safe some requirements must be fulfilled! 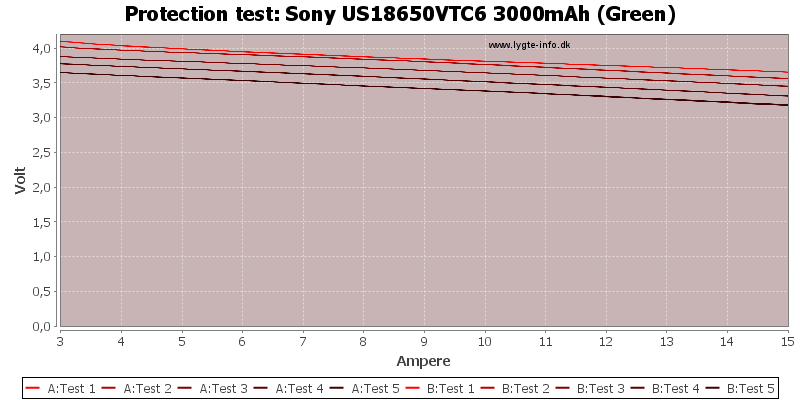 I will rate it a very good battery. 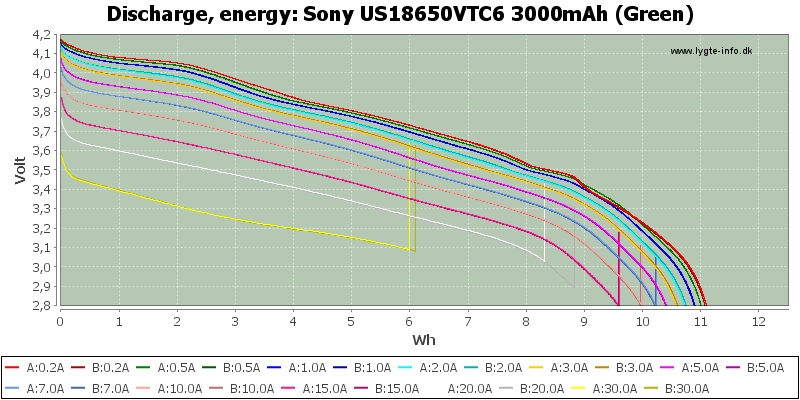 Sony are in the process of selling their battery division (Except alkaline) to Murata.